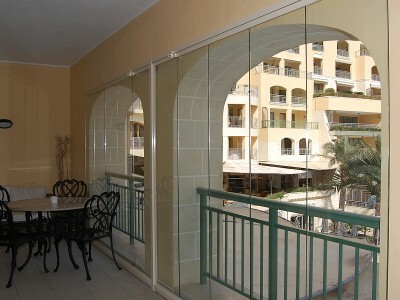 It’s a little used term in the UK but the phrase ‘Glass Curtains‘ is considered to originate from Spain. It describes the frameless glass panels that are often erected around covered terraces and balconies (of which there are many) to keep out the chill wind and rains whilst allowing the light and warmth from the sun. 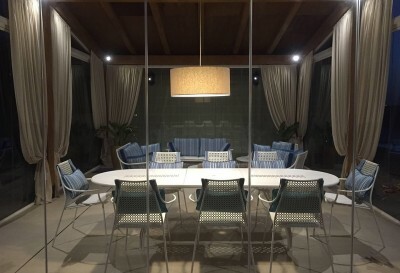 At first, the panels had to be manually put in place or removed but as the panels evolved to slide to the sides of the opening – like curtains – a new name emerged… Glass Curtains. One of the first companies to manufacture these in the UK was SunSeeker Doors, who improved their design, to ensure compliance with British Standards. 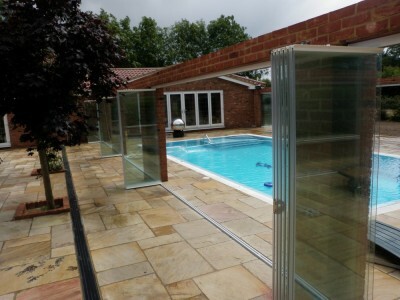 Known as Frameless Glass Doors, the multi-door system comprises a master pivot door within a set of sliding pivot doors. 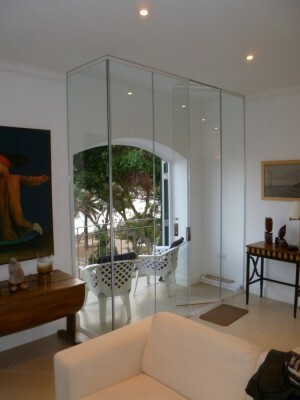 Frameless Glass Doors use thick, tempered (“unbreakable”) single glazed panels and therefore do not require the addition of side frames. This provides for maximum light-flow and uninterrupted views through the ‘invisible curtains’. Unfortunately, single glazed doors would not meet UK building regulations for use between home and garden. Double glazing, with it’s thermal insulation properties, has to be specified (see UltraSlim s an alternative) for domestic dwellings. 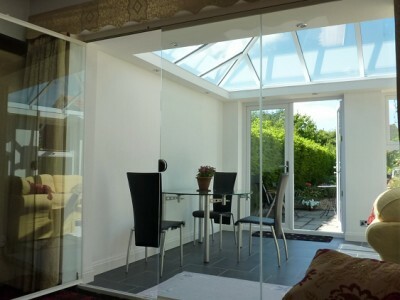 So where can Frameless Glass Curtains be used? Frameless Glass Doors can be installed in commercial premises without the domestic dwelling restrictions..
We’d be delighted to share your ideas! More details on Glass Curtains.